The handmade Harry Potter Magic Hogwarts house sock bookmarks have been ready to add some magic to your favorite books. Like the idea? Let’s keep checking. This is a well-crafted and pretty cute bookmark series inspired by Harry Potter, and handmade by MyBookmark, a handicraft studio in Kiev. Have you remembered their Pokémon GO bookmarks? 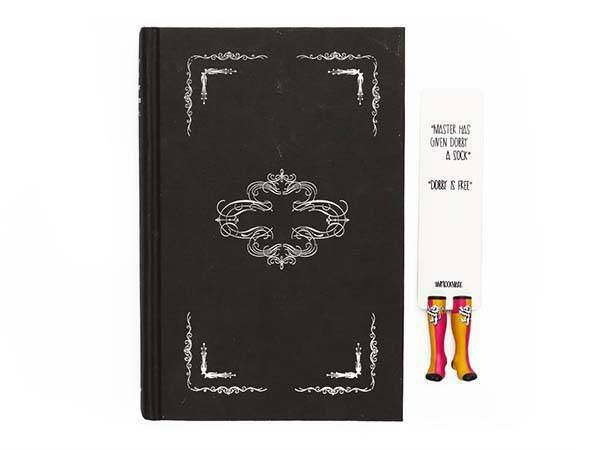 As we can see from the images, the new bookmark series shows us four different sock-shaped designs based on four Hogwarts magic houses. The red socks belong to Griffindor, the green socks represent Slytherin, the yellow socks represent Hufflepuff, while the blue socks come from Ravenclaw. Moreover, each pair of socks features the magic house’s sigil. 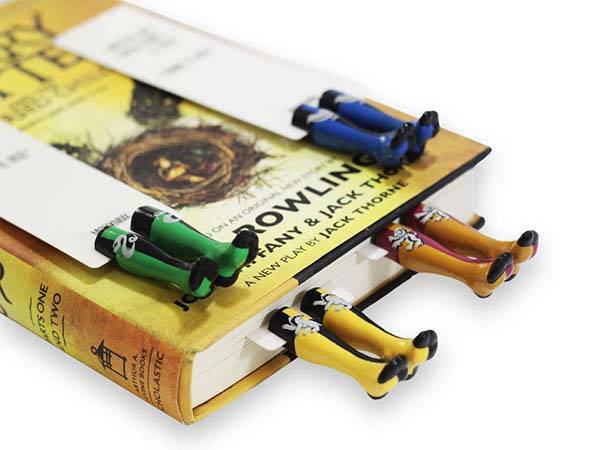 The Magic Hogwarts House sock bookmarks are handmade with polymer clay and acrylic paint, and the 3D legs in socks measure 2 inches long, so when you clip the bookmark on a page of your book, the mini socks add some magic bookish taste and outstanding passion to your reading. Meanwhile, the integrated hard laminated cardboard allows you to return to your place in the book. The handmade Harry Potter bookmarks are available in four model, each costs $20 USD. If you’re interested, jump to Etsy for its more details.